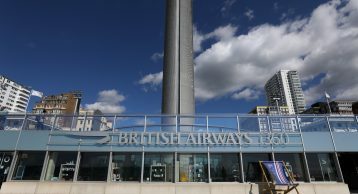 British Airways i360 is a 162-metre observation tower on the seafront of Brighton. It is the world’s tallest observation tower with a fully enclosed futuristic glass pod that is capable of lifting 200 passengers to a height of 138 metres. The tower opened on 4th August 2016 and attracted more than half a million visitors in the first year of its opening. British Airways i360 was designed, engineered, built and promoted by the team that was responsible for the iconic London Eye, Marks Barfield Architects. 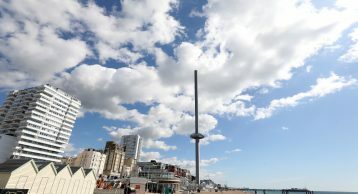 The idea of creating a ‘vertical pier’ as a catalyst for Brighton and Hove’s seafront regeneration was born in March 2005 when David Marks was invited by Alan McCarthy, then Chief Executive of Brighton & Hove City Council, to view potential sites in the city for a new landmark attraction. The rest as they say is history. 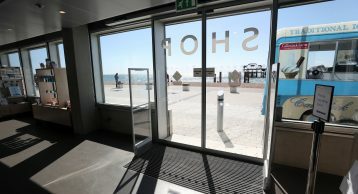 From the glass viewing pod, guests can enjoy 360-degree views across Brighton and Hove, the South Downs, the English Channel and on the clearest days all the way to the Isle of Wight in the west. The design and engineering of British Airways i360 is as impressive as it is innovative. Such an innovative attraction needs to stay attractive whilst maintaining safety of its tourists. Did you know that 90% of slip accidents occur on wet or contaminated floors? By not effectively trapping dirt, cleaning costs can skyrocket to £600-£1000 per kg of soil removed. This can often lead to a reception that is unattractive. 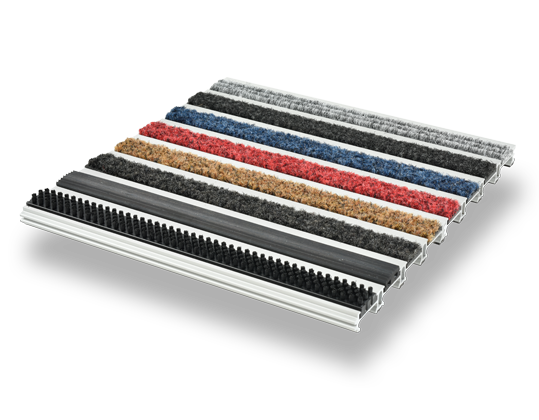 At INTRAsystems we have always believed that Entrance Matting is the first line of defence in preventing the ingress of dirt and moisture into the building. 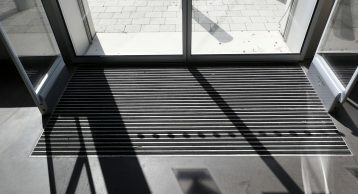 We also believe the reception is the crown jewel of any building, occupying this prime position; Entrance Matting is a key area for creativity, forming a unique first and last impression for every visitor. 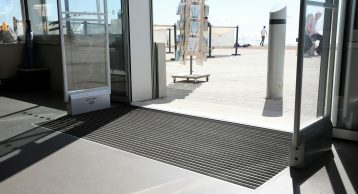 Using INTRAform Heavy Duty Entrance Matting with high quality Ribbed Rubber insert a highly durable and effective system was formed. 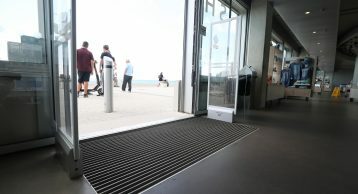 this combination installed in all the entrances of Brighton i360 reception can not only withstand the high foot and wheeled traffic but also perform in inclement weather conditions. 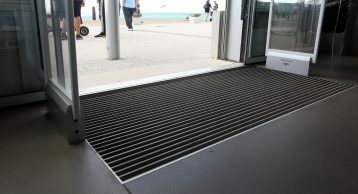 Installing this solution at this location allowed us to reach new heights with Entrance Matting! Contact us for your Entrance Matting consultation.